Everyone loves pizza, right? But most people order in or eat frozen pizza. Some people will venture out and make a homemade crust from a box or package. Those days are over! 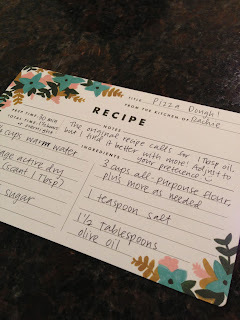 I was lucky enough to be given the best homemade pizza dough recipe in the world by a great friend! I finally had time to make it this fall and we totally loved it!! I can't wait to try this again! The best part about making your own pizza is you can pick your own toppings and put whatever you'd like on it! 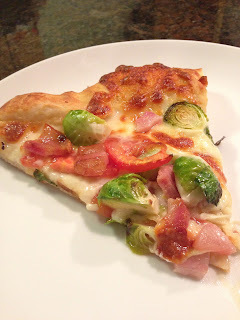 We decided to use mozzarella cheese, Brussels sprouts, and pancetta. Delicious! Put the flower, sugar, and yeast in a mixing bowl and pour the hot water in. Mix together and set aside until foamy, 20-30 mins. Lightly oil a clean bowl for the dough (should be fairly large). Stir in the salt and oil, then start mixing with the dough hook on your Kitchen Aid. Add more flour as needed. Let the dough hook do its magic until the dough is smooth an dshiny, and bounces back to the touch. You may want to knead it by hand. If you decide not to use the Kitchen Aid, knead for ~10 minutes. Put the dough in oiled bowl and cover with plastic wrap. Place in the fridge overnight. Alternately, let it rise for about an hour at room temperature. 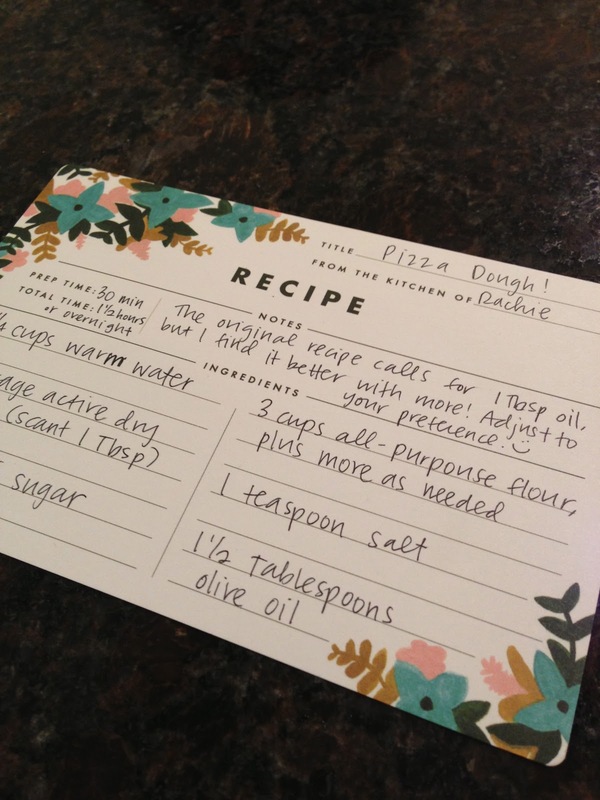 Divide into 2-3 pieces and make pizza! Bake as hot as you can get your oven, usually 10-15 minutes each. Enjoy!